The Confluence of Grant Making & Investing » Linked Foundation » Su Mundo. Nuestro Futuro. The theme of the gathering this year was “Love and Resilience” – surprisingly appropriate and timely despite having been chosen as the theme over a year ago, before a divisive 2016 election that has had huge impacts on the philanthropic landscape. 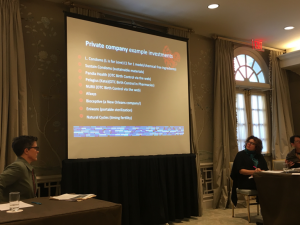 At the highest level, the conference was focused on how to align 100% of a foundation’s assets with its mission, and key themes, challenges and successes of the divest/invest movement. 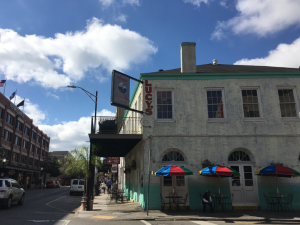 While the conference had a decidedly environmental sector focus, a number of the sessions explored investments related to social themes, including health. One such session was “investing in a woman’s right to choose,” featuring panelists from the Educational Foundation of America, Tara Health Foundation, Catalyst at Large and RAD. This was of keen interest to me given the threats currently facing reproductive rights in the US and abroad, and in light of Linked Foundation’s prioritization of reproductive health this year. A key takeaway was that abortion is a particularly important yet tricky area to work in given the numerous challenges (stigma, regulation, insurance, fragmentation and pricing) – yet, there are indeed investable opportunities. The session was followed by a meeting of interested reproductive health funders who are interested in creating collaboration to more effectively address the local and global challenges and needs in this area. Another interesting session focused on “Building economic resilience through investment in livelihoods.” Speakers from Ceniarth, One Acre Fund, Advance Global Capital, and Maycomb Capital shared the mechanisms they invest in, such as microsavings and microinsurance that help improve life for the underserved. It was impressive to hear about some of the creative approaches being used to leverage both financial and social returns – from outcomes-based financing to the use of factoring (selling invoices at a discount) so that SMEs can reinvest income immediately without waiting months for payment. What I found perhaps most refreshing about the Confluence event overall was its commitment to diversity, cultivating empathy and an overall very intentional connection to social justice. I think it is so important for those of us working in philanthropy and impact investing to stay connected to the causes we support and to continue to cultivate our own empathy. The panels were diverse, and discussions did not shy away from difficult topics. I had the opportunity to visit the Whitney Plantation – the only plantation dedicated to telling the story of slavery – which included an inspiring discussion led by civil rights leaders and activists. We discussed how the roots of slavery are still visible in the modern day prison industrial complex. 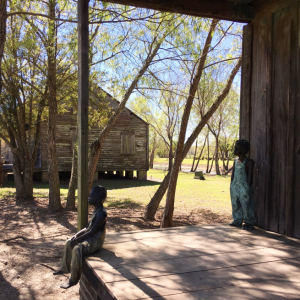 If you’re interested in more about my experience at the Whitney Plantation, I explore it in more detail in a blog post on my consulting website. At Linked we are always looking for new ways to expand our mission-aligned investment opportunities, and it was fantastic to participate in this community of committed social investors to learn and share approaches and the knowledge we’ve gathered along the way.